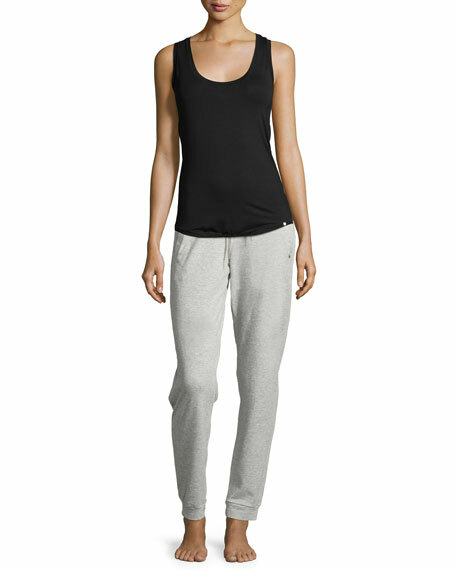 Hanro "Yoga Basic" jersey tank. Approx. measurements: 17"L shoulder to hem, 23"L center back to hem. 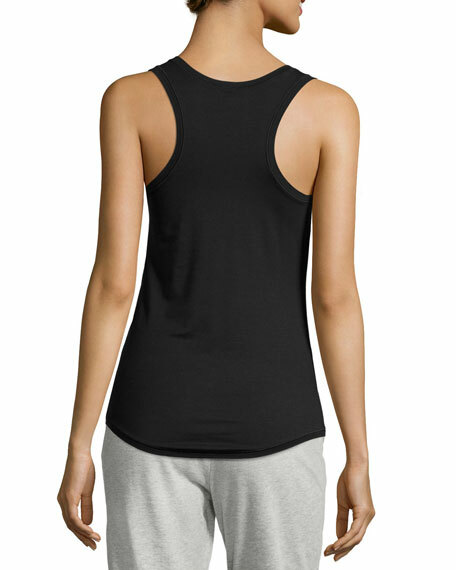 Hanky Panky heathered jersey tank top with lace trim. Scoop neckline. Sleeveless. Scalloped trim around neck and arms. Soft stretch knit. Rayon/spandex. Hand wash. Made in USA. Pale cream fine rib knit. Scoop neckline. Wide shoulder straps. Fitted, long-cut silhouette. Pullover style. Seamless finish. Woven elastic edging lies flat against skin. Silk. Imported.